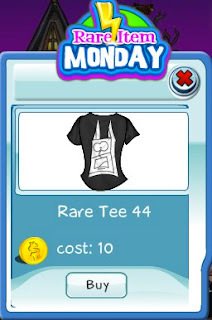 Rare Tee 44 is now available for your collection. There is some sort of goofy face on this black tee. Get one to figure out what it is. It's only available today, so act now before it's gone!